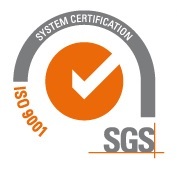 Carville are certified to the latest ISO9001: 2015 standard and were first certificated with ISO 9001 in 1992. Our QMS has been continuously improved over these twenty-eight years supported by many different audit types including internal, external checks, re-certification, client audits and un-announced notified body audits. Carville has a culture of actively seeking ways to improve our systems and embrace any recommendations from external sources to help this. The result is a very robust QMS system that supports many different industries including medical, life sciences, defence and automotive. We can support our clients’ specific needs by developing bespoke testing and measurement systems and procedures, to eliminate any incoming inspection or testing for them. We can also provide material certificates of conformity for certain materials.